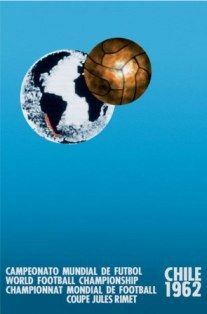 The 7th FIFA World Cup TM was hosted by Chile in 1962. Teams representing 57 national football associations from all six populated continents entered the competition, but due to rejected entries and withdrawals, 52 teams eventually participated in the qualifying stages. Fourteen teams qualified. along with the host nation Chile and defending champions, Brazil. 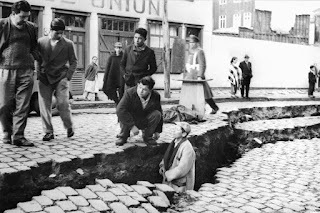 Eight Europeans teams (Bulgaria, Czechoslovakia, England, Hungary, Italy, Soviet Union, Spain, Switzerland, West Germany, Yugoslavia ), Three South American teams (Argentina, Colombia, and Uruguay), and one from Central America and Caribbean (Mexico). Colombia and Bulgaria qualified for the first time. There were eight (8) stadiums originally selected to host the World Cup matches in eight different cities: Santiago, Viña del Mar, Rancagua, Arica, Talca, Concepción, Talcahuano, and Valdivia. However, after a severe earthquake the organising committee were forced to completely modify the World Cup's calendar. The most used stadium was the Estadio Nacional in Santiago, with 10 matches; the Estadio Sausalito in Viña del Mar hosted 8 matches, and the stadiums in Rancagua and far-away Arica both hosted 7 matches. The format of the competition was similar to that of the 1958 competition: 16 teams qualified, divided into four groups of four. Four teams, Brazil, England, Italy and Uruguay were seeded and the top two teams in each group advanced to the quarter-finals. Two points were awarded for a win and one for a draw. In a change from the 1958 format, goal average was used to separate any teams equal on points. Argentina became the first (and only) team in World Cup history to be eliminated on goal average when England advanced from Group 4 in second place. In the knockout games, if the teams were level after ninety minutes, thirty minutes of extra time were played. For any match other than the final, if the teams were still even after extra time then lots would be drawn to determine the winner. The final would have been replayed if even after extra time. In the event, no replays or drawing of lots was necessary. 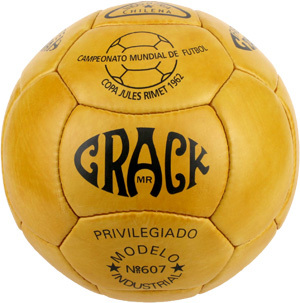 The official competition ball was called "The Crack," and had an orange shell, composed of 18 irregular polygonal shapes, which gave it a complicated look. It was not popular, particularly among the European teams and in several matches, different balls were used. 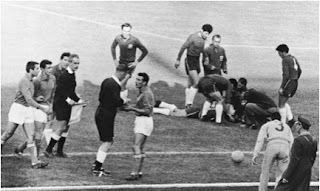 In the second round of games in group 2 played at Estadio Nacional , Chile met Italy (2–0), the game was marred by constant violence on the pitch and was dubbed the Battle of Santiago. 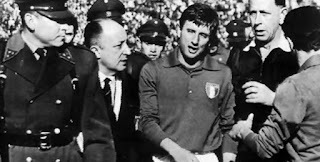 The match saw repeated attempts from players on both sides to harm opponents, Italy’s foul tactics saw two of their players sent off. It only took 14 minutes for Italy to be reduced to 10 men, as Giorgio Ferrini was dismissed for a savage kick on Honorino Landa. Mario David was also sent off in the first half for a ‘karate kick’ like challenge as the army was called onto the pitch to calm the players. The Italian team needed police protection to leave the field in safety. Bobby Charlton got his first World Cup goal against the Argentina. England had the same number of points as Argentina but progressed due to a superior goal average. 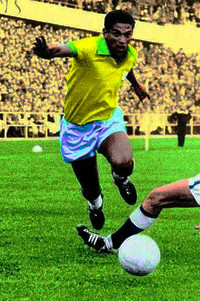 England faced Brazil in their quarter final game and although Pele was injured, his replacement, ‘Little Bird’ Garrincha (Manuel Francisco dos Santos) stepped up and scored two stunning goals. England lost 3-1. Colombia's Marcos Coll made World Cup history when he scored a goal direct from a corner kick, the only one ever made in a World Cup. 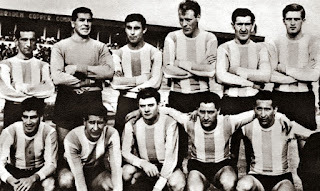 In total 89 goals were scored in the tournament and the top goal scorer was shared between six players Flórián Albert (Hungary), Garrincha (Brazil) , Valentin Ivanov (Soviet Union) , Dražan Jerković (Yugoslavia), Leonel Sánchez (Chile) and Brazil’s Edvaldo Jizídio Neto (Vavá). A total of 893,172 spectators watched the games. 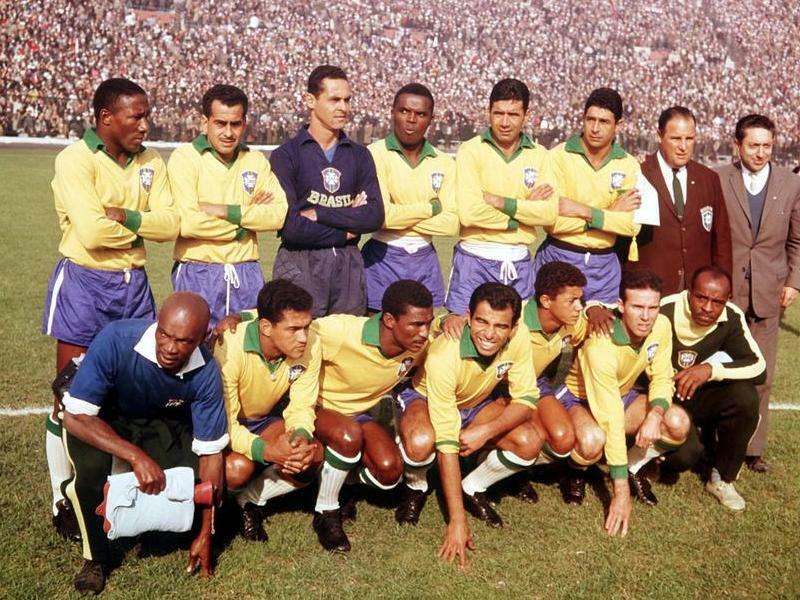 The final between Brazil and Czechoslovakia was played at the Estadio Nacional, Santiago, in front of 68,679 spectators. The game remained at 1-1 until the second half as Brazil finally took the lead, with José Ely de Miranda (aka Zito) and less than 10 minutes later, Vava clinched the game. Pele despite not taking part, joined the on-field celebrations.